I’d like to think I’m exaggerating when I use the term “going crazy” but I’m not convinced and I doubt my family is either. Can’t you just visualize the sweetness? My youngest came running and offered, “Is there anything I can do for you, Mom?” Precious, isn’t he? Sure. But then he started playing the piano very loudly right behind me so that I could no longer concentrate on troubleshooting my printer issues. This did wonders for my stress level and it helped even more when Matt chose that exact moment to holler a question about our income taxes from the other room. Crazy?! Nah. Only a little bit. and I guess that’s all I need to say about that. I’ve shared recently about my emotional and spiritual health struggles. God has been so faithful to gently walk me through some dark valleys and to provide peace I never knew existed. Our Creator is mighty, His forgiveness is abundant, and I suppose the fact that I’d always been such a “good girl” means that I’d never really recognized my great need for a Savior until I came face to face with my absolute weaknesses. So here I am and here He is. It’s really quite beautiful, experiencing his strength shining through my weakness. Jesus is my drug of choice. The Bible has become what I cling to over all else, because I’ve learned absolutely that SELF is not able to cut it. 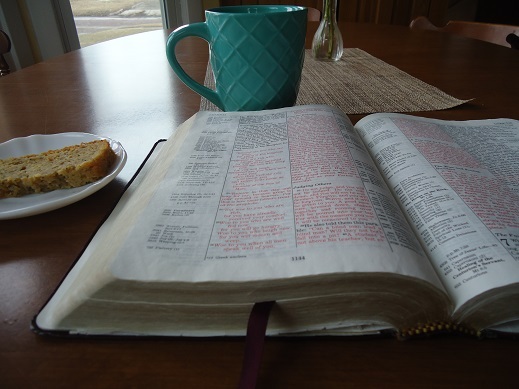 My perfect choice, if I get to choose, is to sit for over an hour every morning sipping coffee, journaling, praying, listening, and soaking in several chapters of Scripture. Sometimes it happens, and sometimes it doesn’t. But even if it does happen, what about the other 23 hours in a day? I find it easy to be at peace and full of conviction to live through the Spirit when I’m sitting in the quiet with my Bible – without any people needing me or printers ignoring my requests to please just print the document. But start throwing all of the day’s stuff at me and I am faced quite humbly with my human side. My solution? My plan-of-action against falling back on selfish living throughout the day? Sure, that’s an obvious Christian answer. But it is a fact that it’s not just “an answer” it is the answer. Talking to God throughout the day, whispering “I need you” and “thank you” and “you are so good to me” and “guide me with this” and “please give me the right words” and “I love how you worked that out” and “thank you for providing that for us” and on it goes all day long. It works. I talk to God a lot. I ask for the Spirit’s guidance. I forget. Then I remember. Then I get wrapped up in my own thoughts and get all wishy-washy. Then I come back to a surrendered place and let go of control. I’m back and forth, living a life full of demands. God is there constantly, faithfully, grace-filled. 2. I’ve been slapping Scripture all over my walls. By “slapping” I mean “carefully placing” of course, because there are nails and a hammer involved with this process. I’ve been learning that surrounding myself with scripture that is front and center, all around me, is a great way to stay focused on Truth and to remain at peace. I fell in love with these prints and ordered them, putting the three top ones in my bright living room and the bottom three in our bedroom. They match each room perfectly. I love them so much I can’t stop staring at them. This is perfect though, because staring at scripture all day long, even while doing mundane chores, is a fantastic to keep me focused on Truth which helps to avoid unhealthy thought patterns. 3. I’m selective about how I spend my downtime. Some evenings we actually have this thing called “free time.” I’ve been playing a lot of Skip-Bo with Malachi or sometimes we’re able to play a game with the whole family. We like slowly working our way through Netflix series, watching an episode all together right before we head up to bed. I just have to be careful what I watch, as in, shows like CSI and Criminal Minds are out for me. Currently, our family is working through Person of Interest (which actually is a bit violent, but not gory or emotional, so I can laugh with my family about how unrealistic it all is while still having a fun story line). 4. I journal and color. I learned a few months ago that coloring is loads of fun, completely relaxing, and even great for meditating. Coloring clears my head and helps me focus on pure thoughts that bring peace. I had no idea coloring could be so great. So prayer, posting scripture, being selective about what I read and watch, journaling, and coloring – these, along with spending quiet time in the Word – have been keeping me on solid ground. I’d love to hear what helps you stay grounded each day. What have you found that helps you most to avoid worry and to keep you focused on God’s Truth? This Surrendered Heart Mini eCourse has been a tremendous blessing to my heart and to my marriage. I’d love for you to have it! Get the details here. It’s 42 pages of scripture-filled lessons, worksheets, journaling pages, and printables – all for the purpose of strengthening your marriage as you surrender your heart to God. 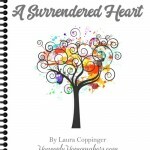 A Surrendered heart is much more than just a book! It’s Bible-based instruction. It’s a workbook so you can make some actionable plans for steps to take to grow in love for your husband. It’s a journal, so you can take the time to reflect, listen, and learn to love your husband more fully through Jesus. 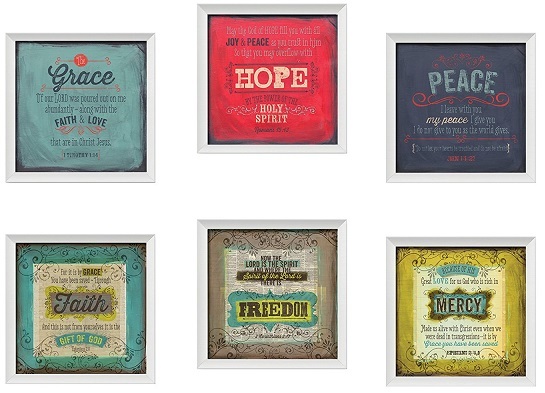 And it’s loaded with beautiful Scripture Printables that we can strategically place all throughout our homes so we can constantly be reminded to live through the Spirit as we serve and love our husbands. Join us! I really love the plan-of-action you listed and I really want to print it but my printer is not working. (smile) Love you! Music is likely a part of your action plan, too. The contemporary Christian music that was the sound track of our lives when my kids were at home brings me hope and encouragement. My mother used to sing hymns and other songs while she worked. Engaging in some form of art (such as coloring or drawing or painting) gets us out of the side of our brain that gets stuck stewing in our thoughts. Some people find crocheting or knitting makes for a peaceful heart and mind. Reading a good book, or going for a walk (maybe with a friend) are also strategies that come to mind. Hi Laura, just in case you’re like me, there was a point in the 2nd season of Person of interest that it became too disturbing for me and I had to quit watching it. I don’t do any of the CSI type shows either, so I thought I’d warn you! Just this week I’m implementing this wake up and read the scriptures and right before bed. I used to only read before bed and sometimes i would be too tired and didn’t happen. 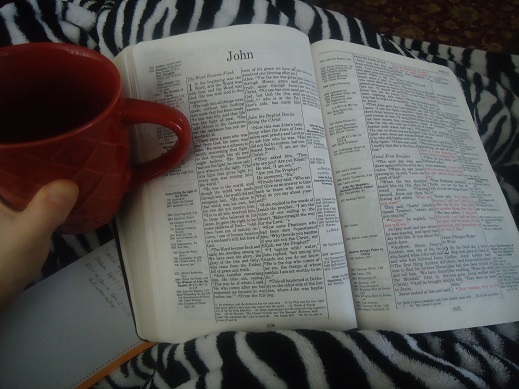 I have notice that by waking up with the Word it is very helpful to me, sets me in the right mood. I also like to listen to hymns or classical music. Thanks for your reminder of praying throughout the day.